Teens all across the country will soon be experiencing party anxiety with the up and coming ball season and I fully empathise, because ball standards today are higher than they have ever been before. As a former ball goer and by former I mean way, way back in what can affectionately be described as the “good old days”, balls were slightly more relaxed: grab a date, grab a friend, grab a dress and you’re good to go. If you compare the somewhat low expectations of a 90’s school ball to those of today there are a number of glaring differences – of course the fashion (90’s chic is not really that chic anymore), the music, the pre-ball and after-ball parties and the transport. In the “good old days” being dropped off at the ball in the family car was fine and fully acceptable, not by your parents of course – that would be lame, but by a cooler, older brother or sister: it’s the simple and relaxed approach that epitomised the 90’s. This new and expected level of grandeur is something to behold. Picture it: one school, one ball, one night at the Sky City Grand Hotel, with impressive vehicle after impressive vehicle rolling up to the hotel doors and each filled with fashionably and immaculately dressed young adults – a most impressive sight. I pity the fool who went retro that night and turned up in the family car! So how do you play with the big boys and girls? Simple answer: Step it up. For transport, don’t just go with a standard limo, that’s possibly the 2014 version of turning up in the family car. Go next level and consider a limo coach – it’s an unbeatable combination of luxury, style, comfort, size and absolute fun. Think of the full experience – It’s a party before the party, and if you’re going to do your school ball, you ought to do it big and really enjoy as much of the evening as you can, right? So then the ride there should be more than the average and deliver something special. Imagine being chauffeured around Auckland in luxury, dressed to the nines and having a blast. Your ball should be about glamour and fun and nothing says that more than a chauffer, except maybe a chauffer of Auckland’s largest limo coach – I challenge you to find bigger than that. 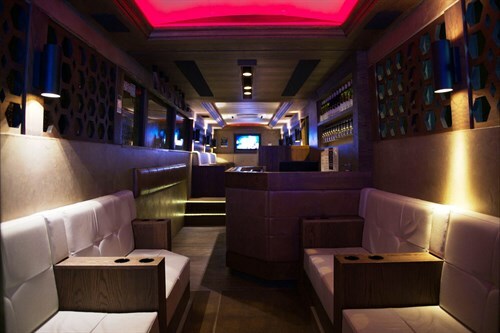 The Party Bus Company does offer a range of sizes and styles to suit all groups and budgets so if BIG isn’t your style; there are other equally impressive and luxurious options. If your school ball is on its way and you anticipate a level of “party anxiety” a visit to the Party Bus Website may help alleviate that looming tension by giving you some momentum – the earlier you start planning the more prepared and in control you will feel and that “party anxiety” will melt away into pure excitement. So smack the 90’s laid back nature in the face by picturing yourself looking your absolute best, picture your best mates with you and picture the glamour and sophistication of the Viper Bus taking you there…boom – best ball ever.